Barro’s Pizza has been blessed to call Arizona our home since 1980. We take great pride in working with several non-profit organizations, such as St. Mary’s Food Bank Alliance and the Arizona Cancer Foundation for Children. We also enjoy being involved with local schools throughout the state and sponsoring their sports teams. Barro’s Pizza is committed to these strong community relationships as well as our customer’s satisfaction. Have a fundraising opportunity? Contact us for more information. Barro’s Pizza has pledged to help diminish the number of Arizonans battling hunger during the holidays with the Doran Barro Holiday Hunger Fight. 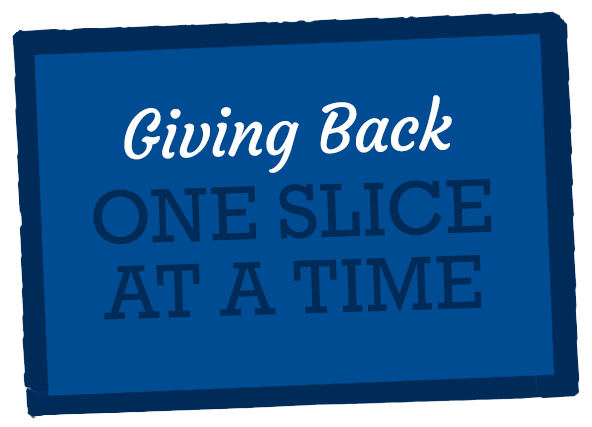 On the first Tuesday of December, from open to close, all Barro’s locations donate 100 percent of the proceeds from store sales to St. Mary’s Food Bank Alliance. 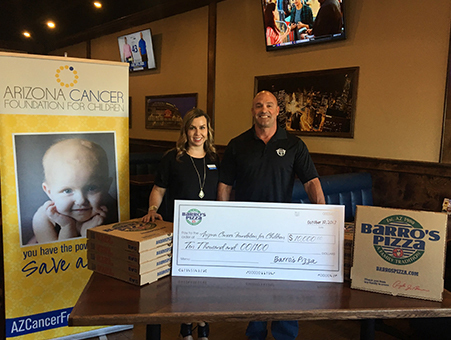 Barro’s Pizza is proud to partner with Pepsi to provide financial support and awareness around pediatric cancer. During the month of June, proceeds from lunch specials at all Barro’s locations are donated to the Arizona Cancer Foundation for Children. Barro’s Pizza has partnered with Dr Pepper since 2012 to give over $65,000 in tuition scholarships to Arizona students. Contestants are eligible to enter every day from mid-September thru December and one lucky winner is chosen at random to receive $10,000. Congrats to our Dr Pepper Tuition Giveaway Winner! Savanna T., from Mesa, was awarded the $10,000 tuition prize! We have expanded to Tucson! We are excited to announce that our Tucson location is now open! We would like to thank all of our friends and fans who took the time to vote; your support made this possible!